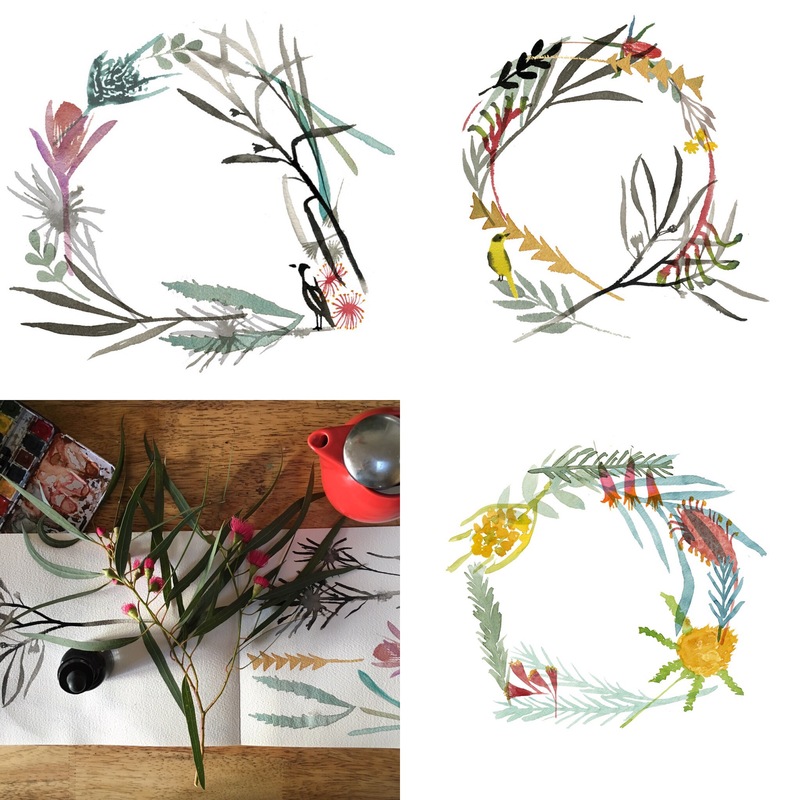 A relaxing project, building layers of watercolours and doing a digital ikebana – arranging them into wreaths – and sticking in tiny tiny birds. All funds raised will go towards supporting projects that help promote the equal rights of all children, helping lift girls around the world – and their entire communities – out of poverty. To learn more about this project go to etsy.me/makeforgood. We’ve returned from our travels, bags unpacked, house slightly dishevelled as I try and rearrange as I always do when seeing it with fresh eyes. Coffee walks this morning and happy to be back in the studio – ahhhh Melbourne. 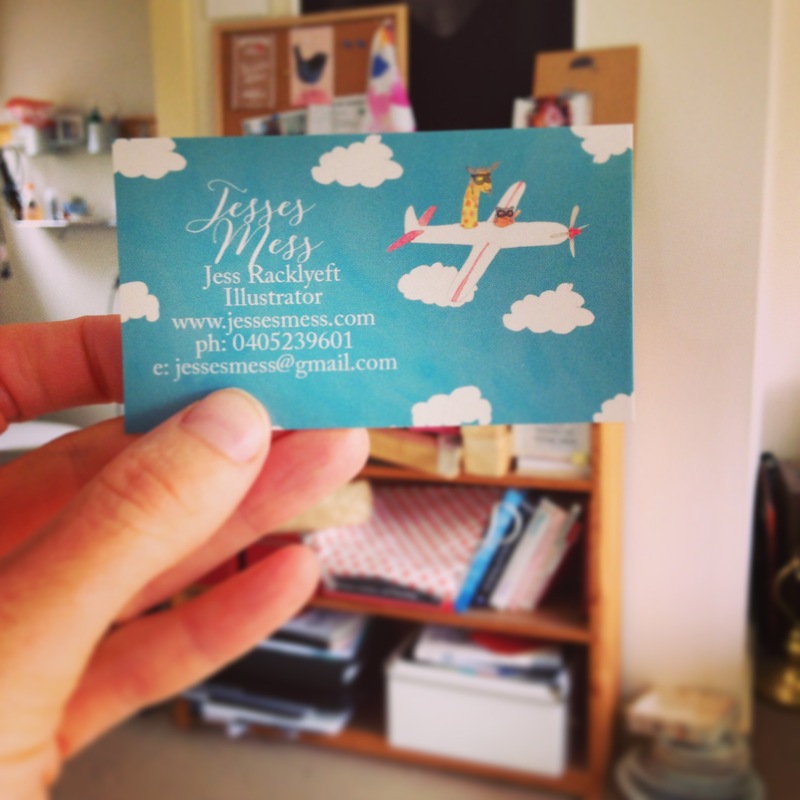 And my new business cards waiting on the doorstep. Happy New Years, friends! 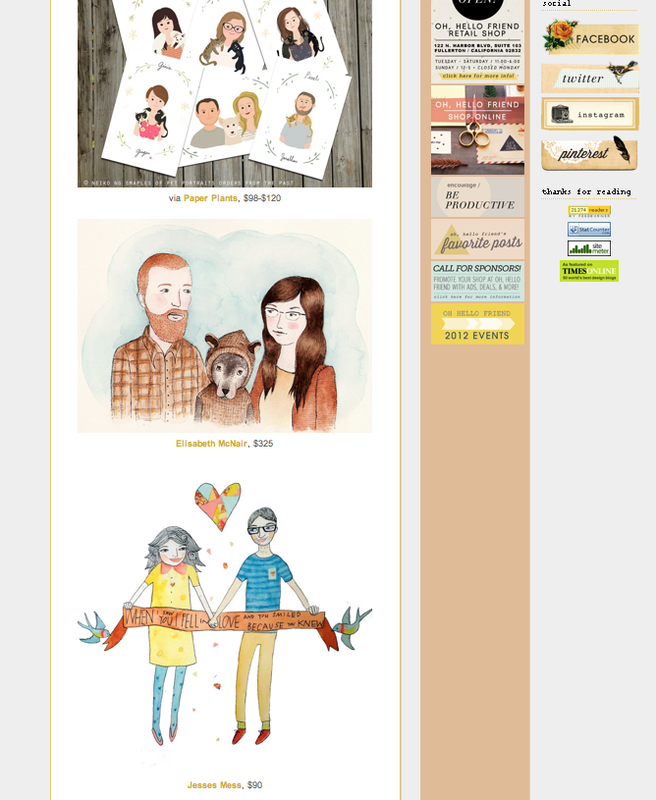 I recently was featured in a collection of custom portrait artists on the cute blog Oh Hello, Friend! 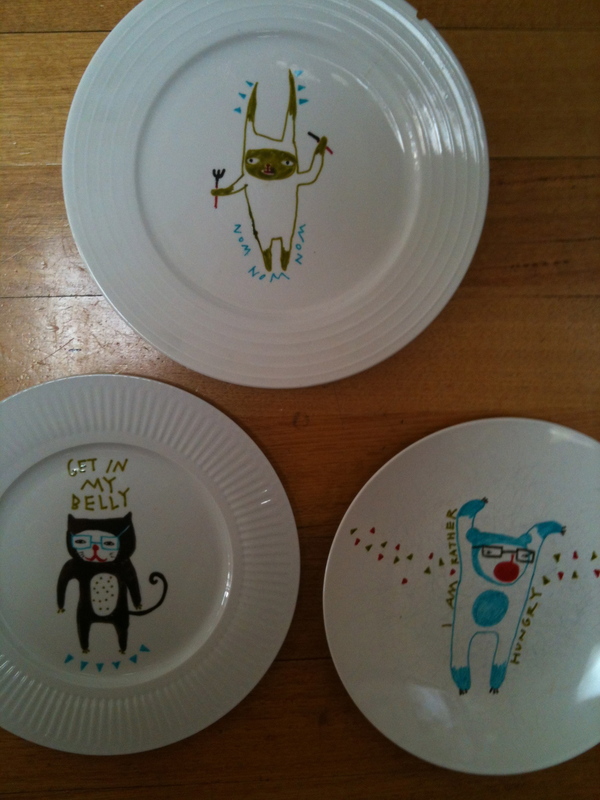 Great to see what others are doing, some very sweet work…. 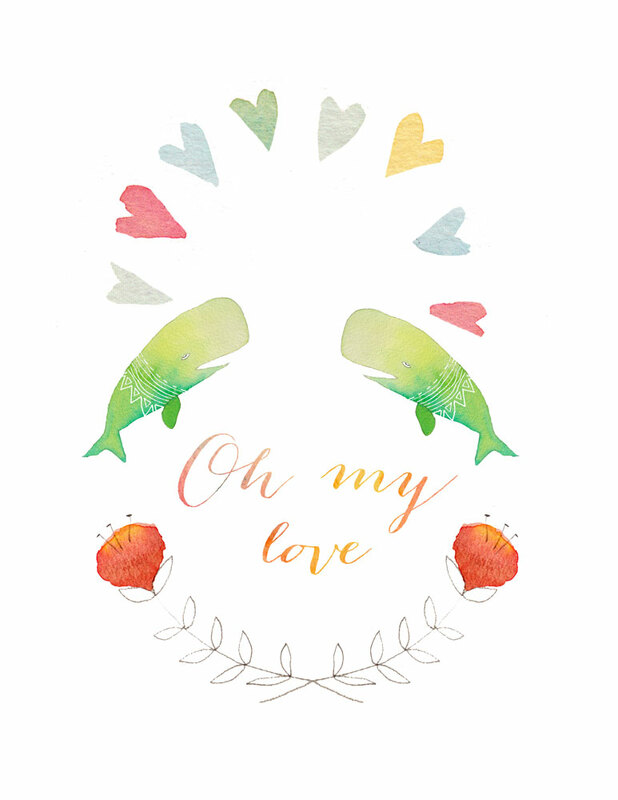 I’ve been experimenting with textures an illustrator – fun and interesting results. 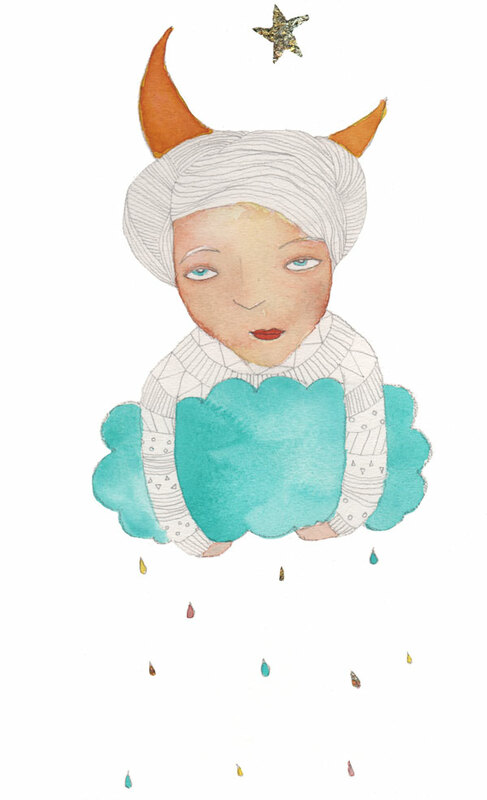 Here’s an interpretation of whisper on a beautiful quiet rainy day in Melbourne. 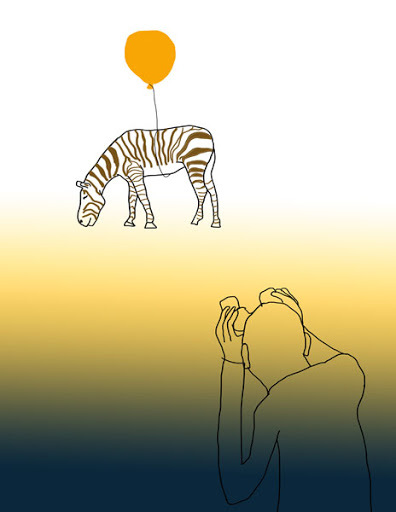 I’ve been busy loading drawings to Zazzle – an American website which allows you to create your own shirts, mugs, stationery etc for cheap and sell it or make lovely lovely pressies. 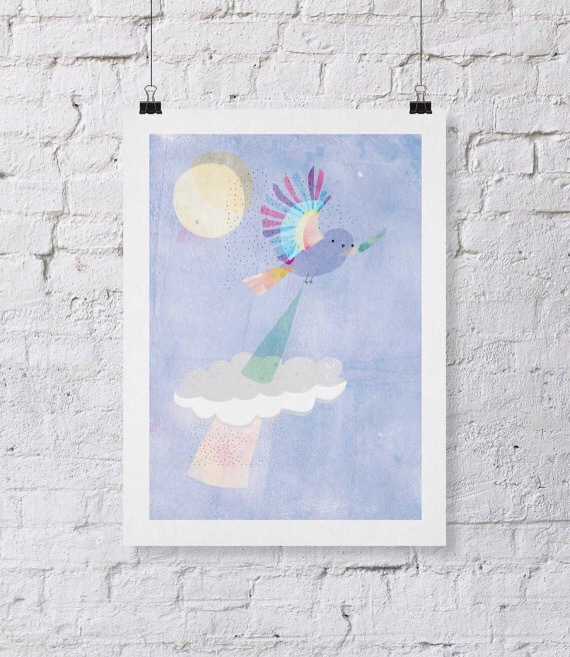 Unfortunately shipping to Australia is quite expensive, but in the meantime I’m plugging away on creating a range of kid friendly stuff for sale (or perhaps for one big shipment for my daughter next year!). 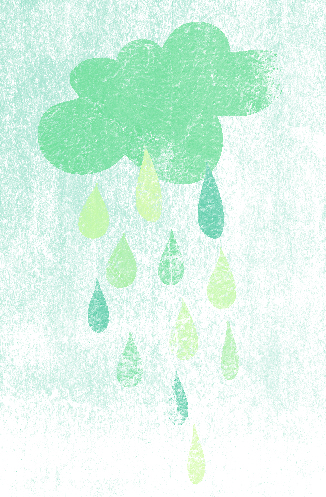 Playing with digital illustration, quite different to my norm! I think that’s why I love Illo Friday – you can mess about and experiment with your usual style, with a random topic, and share with friendly internet folk.